iSchool Career Stories: I Made It And So Can You! 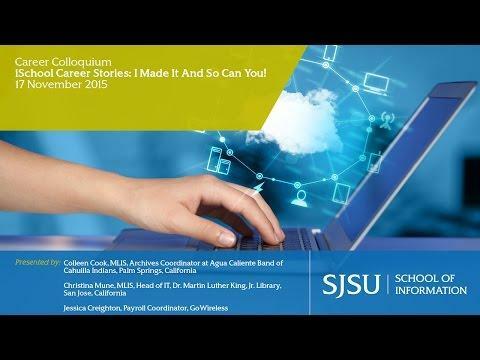 Join three alumnae of the San José State University School of Information for this insightful presentation full of tips every student can use. Our presenters all graduated with a Master’s degree in Library and Information Science (MLIS) and are now working as information professionals. During this presentation, they will draw on their experiences in the MLIS program and share their advice for making the most of your time as a student to successfully prepare for a professional career.